Wakeboard titles were awarded to athletes competing in 2019 South American Beach Games today with riders from Argentina standing on top of the podium after the final round of competition. 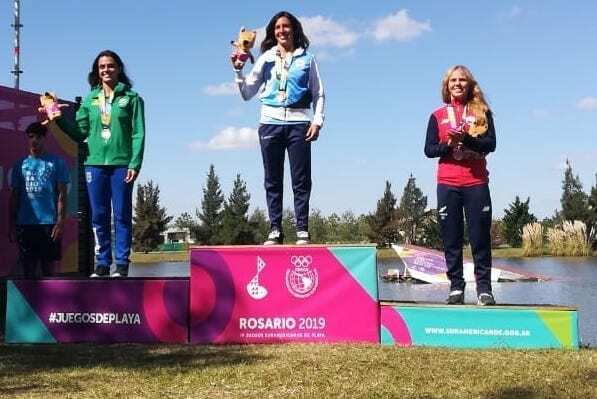 In the women’s event, Argentina’s Victoria Maria De Armas won the gold medal with Brasil’s Mariana Ribeiro Nep taking the silver and Jacinta’s Bernales the bronze medal. 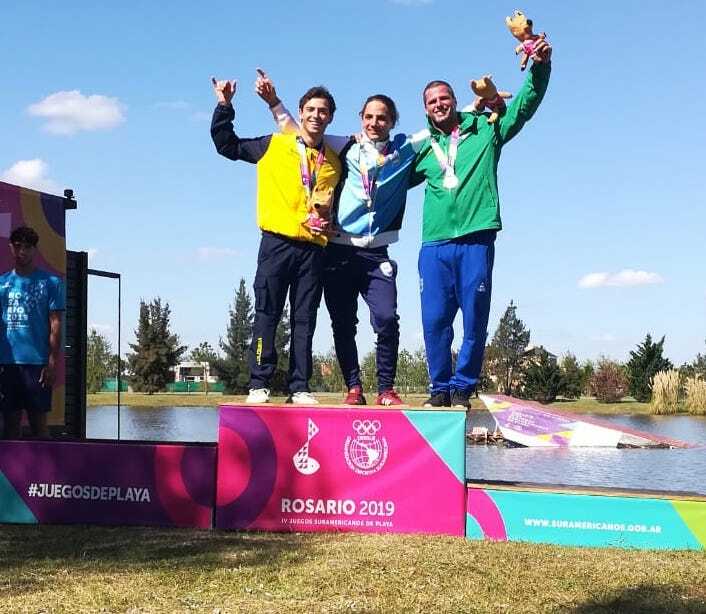 Kai Ditsch from Argentina won the Men’s Wakeboard gold medal followed by Colombia’s Jorge Rocha silver and Marcelo G. Marques bronze medal. The 2019 South American Beach Games were held in Rosario, Argentina . 13 sports including beach handball, beach football, beach rugby, beach tennis, beach volleyball, canoeing, open water swimming, coastal rowing, sailing, skateboarding, stand-up paddle surfing, triathlon and waterski (3-event waterskiing and wakeboard).